For the second day in a row, a space rock is going to zip close by Earth within the orbit of the moon, and you can watch the encounter live online. The 33-foot-wide (10 meters) near-Earth asteroid 2014 EC will come within 38,000 miles (62,000 kilometers) of Earth's surface at 4:30 p.m. ET (2130 GMT) Thursday (March 6), NASA officials said. That's just 16 percent of the distance between our planet and the moon, which is about 239,000 miles (385,000 km) on average. You can see a video of asteroid 2014 EC's orbit around the sun here. 2014 EC, which was discovered just Tuesday (March 4), is about half as wide as the asteroid that exploded over Russia in February 2013, injuring about 1,500 people. 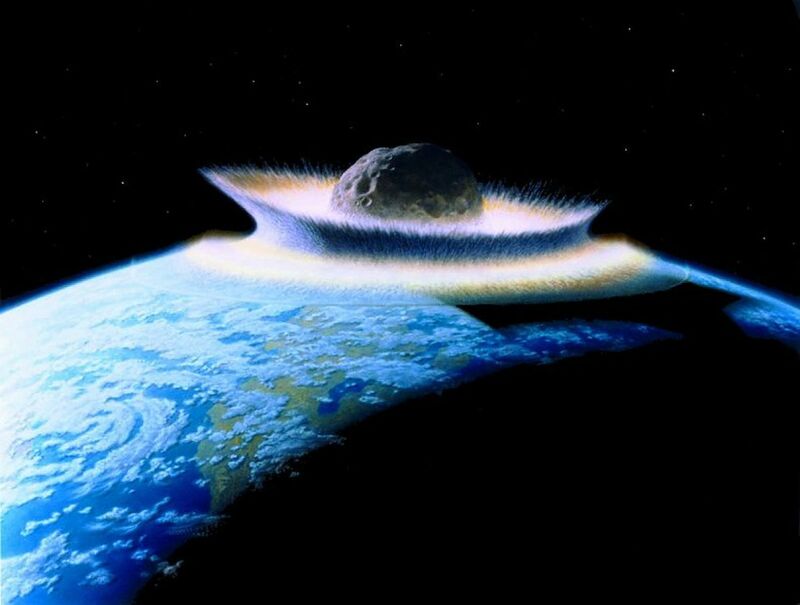 There is no danger that 2014 EC will hit Earth on this pass, researchers stress; the chances that it will ever strike the planet are currently estimated at 1 in 2.7 million. While 2014 EC will come extremely close to Earth, it's not a great skywatching target. The asteroid won't be visible through binoculars or small telescopes, said Don Yeomans, manager of NASA's Near-Earth Object program office at the Jet Propulsion Laboratory in Pasadena, Calif.
"Moderately sized telescopes if you know where to look — yes," Yeomans told Space.com via email. "The asteroid will reach an apparent magnitude of about 13.6 near closest approach." The flyby of 2014 EC follows closely on the heels of another space rock encounter. On Wednesday (March 5), the 100-foot-wide (30 m) asteroid 2014 DX110 zoomed by Earth, passing inside the orbit of the moon at a range of 217,000 miles (350,000 km). Such back-to-back flybys are pretty special, though they can't exactly be called rare events, Yeomans said. "For small asteroids, one would expect a flyby of the Earth, to within the moon's distance, about every two weeks," he said. Astronomers think that more than 1 million asteroids cruise through space in Earth's neighborhood. To date, just 10,600 have been discovered and named.